A major attraction of suburban living is the ability of children to walk and bike to school. Rye resident Kelsey Johnson lives with her husband and young children near Forest Avenue, but quickly discovered that the short walk along Forest Avenue to Midland Elementary School is a dangerous exercise. Johnson decided to take matters into her own hands and mobilized a group of concerned residents to study the feasibility of sidewalks on Forest Avenue. Now, three years later, Johnson provides an overview of the issue. 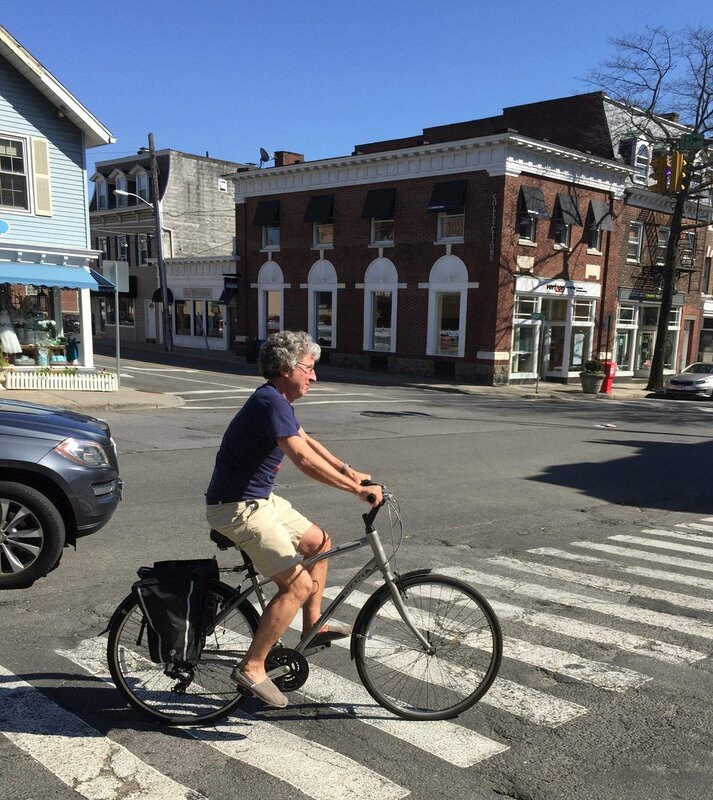 The Rye Sustainability Plan has many goals, one of which is to “pursue and adopt measures that will encourage more pedestrian activity [and] less dependence on vehicle transportation”. The Rye City Schools District supports this mission with an annual Walk to School week to raise awareness and support for the health, community and environmental benefits of regularly walking or biking to school. Walk to Schools Week at Midland Elementary School took place the first week of October and students were encouraged to walk to school and participate in this important initiative. However, Midland, and hundreds of other Rye middle and high school students are prevented from safely participating in any walk to school effort. The problem: Along the portion of Forest Avenue between Manursing and Apawamis Avenues there is no sidewalk, forcing pedestrians into the street where they perilously navigate their way as cars speed by them. The situation has been made worse in recent years as access paths from side streets to Midland have closed. Children who live on the fifteen streets that feed into Forest Avenue (approximately 170 homes) now have no route to school except via Forest Avenue. This stretch of Forest Avenue has been the subject of study and highlighted for safety improvements by the City, most recently through a comprehensive study drafting specific off-road alternatives to improve pedestrian and bike safety. It also evaluates the impact to mature trees and landscaping, among other metrics. For the second year in a row, this project has been identified as a "high priority" capital improvement project in the City's Capital Improvement Plan and awaits funding of an engineering and design study, which was deferred last year as the city awaited the outcome of two major grant applications. Unfortunately, the City was not awarded the grant money, so residents must rely on the City to keep momentum on this project and fund the next step to ensure the safety of our school children, dog walkers and runners. The Rye Sustainability Plan highlights infrastructure improvements targeted at enhancing pedestrian activity that include repairing sidewalks and increasing the miles of sidewalks, which this project directly accomplishes. Together, we can work to redefine idling for our school-aged children. Take a Ride on the East Coast Greenway ... in Rye! Leave the car at home and hop on your bike because Rye is part of the East Coast Greenway, an ambitious project to create the longest bike path in the nation. East Coast Greenway Alliance, the non-profit that conceived the idea of a "long-distance urban trail," estimates that once complete, the ECG will span a distance of 3,000 miles, linking Calais, Maine with Key West, Florida. The ECG Alliance envisions the Greenway as "a linear park" that will incorporate "waterfront esplanades, park paths, abandoned railroad corridors, canal towpaths, and pathways along highway corridors." For more information about the Greenway and news about the New York Section, visit the ECG Alliance website. A map of the NY Section is reproduced below.